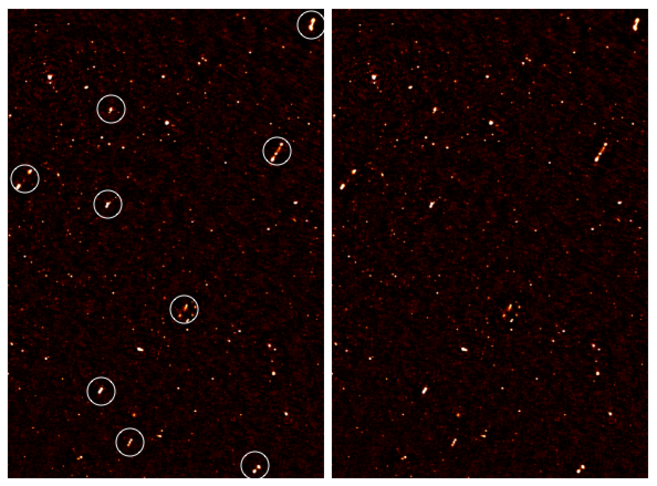 Astronomers have spotted a mysterious phenomenon in a distant patch of the Universe: the jets emitting from the center of 64 supermassive black holes in galaxies are all lined up. After three years of radio images taken by the Giant Metrewave Radio Telescope located in India and analyzed by a group of astronomers in South Africa, astronomers picked up the weak signatures of jets pointing in the same path like compass needles, and may give hints about the structure of the ancient Universe when the black holes were being formed. The aligned jets emitted by supermassive black holes were discovered in the European Large-Area ISO Survey-North 1 (ELAIS-N1) area of the sky and the research paper is published in the Monthly Notices of the Royal Academy of Sciences. When Russ Taylor from the University of the Western Cape and his coworker from US, spotted these aligned jets, they calculated the odds of coincidental arrangement to be less than 0.1%. So what really is going on? The path of a jet is determined by the angular momentum axis of the rotating supermassive black hole fueling it. Now that a whole bunch of jets are aligned in ELAIS-N1, it specifies that their black holes are revolving with the same angular momentum too – so something pretty spooky must've set them this way when the Universe was quiet young and the black holes forming. According to astronomers there could be a few ways this may have occurred. A massive cosmic magnetic field, exotic particles or cosmic strings – theoretical "fault lines" in the Cosmos – may have set the black holes revolving the same way. 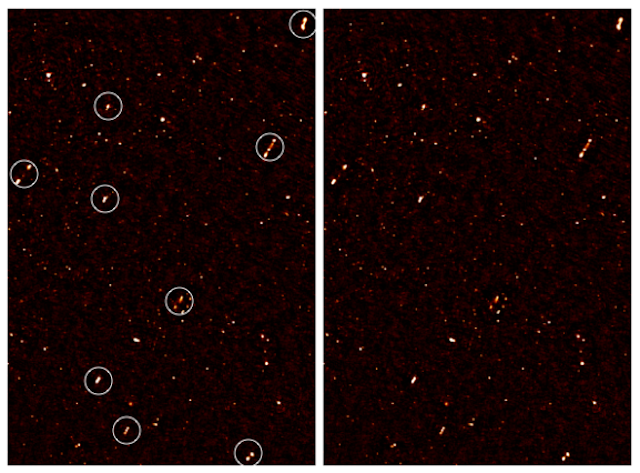 Or who knows, something else completely – astronomers just simply don’t know yet. "[The Giant Metrewave Radio Telescope] is one of the largest and most sensitive radio telescope arrays in the world, but we really need MeerKAT to make the very sensitive maps, over a very large area and with great detail, that will be necessary to differentiate between possible explanations. It opens up a whole new research area for these instruments, which will probe as deeply into the [past] and as far back as we can go."